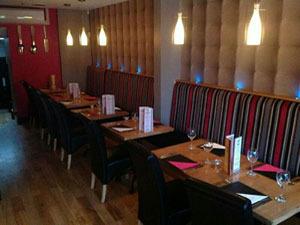 Yum Bar & Restaurant offers good quality, locally sourced produce at affordable prices. We have an enthusiastic team of chefs who have put a modern quirky twist on the classics. We are excited to offer a menu with a wide range of dishes and tastes, that you can relax and enjoy in elegant and comfortable surroundings. Freshly prepared and cooked to order with menus that offer something for everyone. From casual dining to Sunday lunches to special occasions, Yum suits all families. Enjoy your special occasions at Yum, from Xmas dinners to graduations and communion meals.